Mothula separates into three separate entities, only taking damage when the true Mothula is hit, the clones splitting into three when attacked. Each Dark Link introduces a new special attack, and can use all of the moves of the previous Dark Links, making the battles progressively harder. 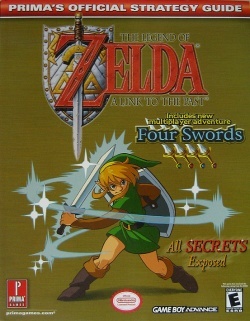 Each of them holds a shard of the Four Sword. 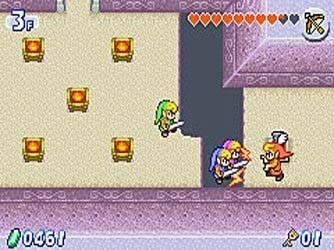 The four other doors lead to obstacles that lead to one of the first four mini-bosses: , , , and. Blind, appearing first as , now must have all his separated heads knocked back into his body to take damage. The final bosses are four , who must be defeated one at a time in the order of green, red, blue, and purple. Arrghus now has surrounding it instead of the usual puffballs, and during the second phase of the battle it will move much faster and will be aided by bubbles that attack Link.
. 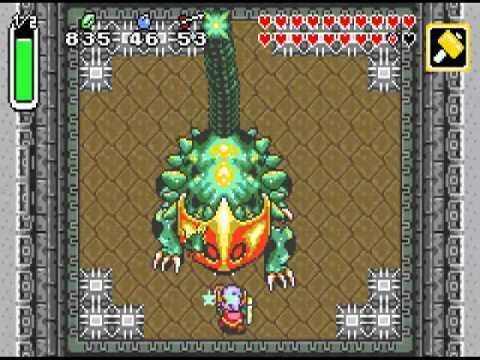 The mini-bosses are palette swaps of the first four Dark World bosses, and are more powerful than their previous incarnations. 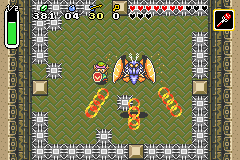 The center door leads to the boss and is blocked by an energy beam, which only the can penetrate. 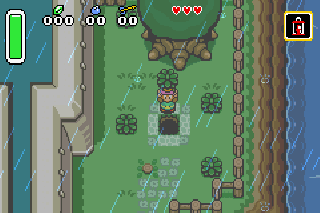 Unlike in the previous encounter, there are no spikes in the room and the floor does not move. The Helmasaur King regains his helmet after a few hits to his weak point, is able to spit out , is not vulnerable to arrows the first time his mask is destroyed, and must be finished off with an arrow the second time his mask is destroyed.